Why am I just hearing about this movie? It looks like Martin Scorsese is finally paying back the good folks whose movie he remade with The Departed by executive producing an explosive new film that chronicles the real-life story of the the Green Dragons, a Chinese-American gang in '80s and '90s New York City. And it looks amazing. 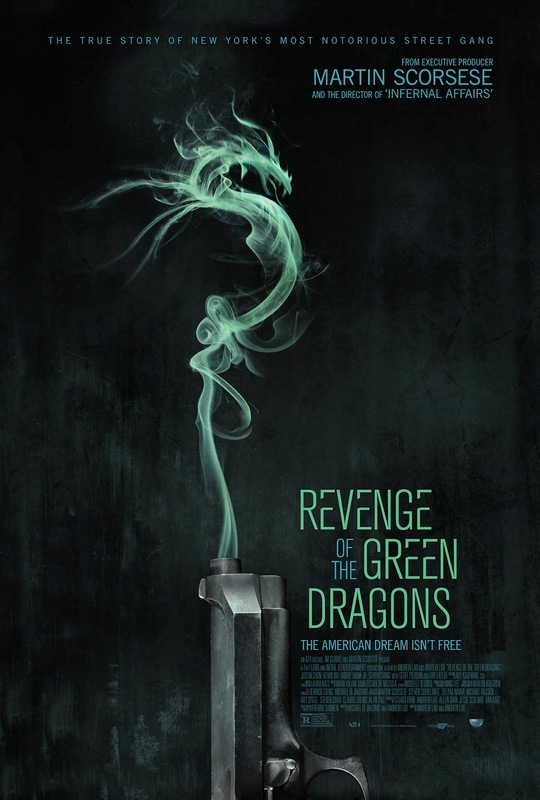 In the vein of crime classics like MEAN STREETS and INFERNAL AFFAIRS, REVENGE OF THE GREEN DRAGONS follows two immigrant brothers Sonny (Justin Chon) and Steven (Kevin Wu) who survive the impoverished despair of New York in the 1980s by joining Chinatown gang "The Green Dragons". The brothers quickly rise up the ranks, drawing the unwanted attention of hard-boiled city cops. After an ill- fated love affair pits Sonny against his own brother, he sets out for revenge on the very gang who made him who he is. From acclaimed Director Andrew Lau and Andrew Loo, and legendary Executive Producer Martin Scorsese comes a brilliant mix between a Hong Kong action film and a New York City crime thriller, portraying the never-before-told true story of "The Green Dragons". REVENGE OF THE GREEN DRAGONS premieres at the Toronto International Film Festival next month, followed by a theatrical release in October. This looks excellent. I love that we can have period movies in the 80’s. Great to hear about this movie. Hope you get to see Infernal Affairs soon, it is awesome.